On July 11, an Israeli attack on the Fun Time Beach café near the city of Khan Yunis killed nine civilians, including two 15-year-old children, and wounded three, including a 13-year-old boy. An Israeli military spokesman said the attack was “targeting a terrorist” but presented no evidence that any of those at the café, who had gathered to watch a World Cup match, were participating in military operations, or that the killing of one alleged “terrorist” in a crowded café would justify the expected civilian casualties. At 11:30 p.m. on July 11, 2014, an Israeli attack on the Fun Time Beach coffee shop on the beach near Khan Yunis, in southern Gaza, killed nine civilians, including two 15-year-old boys, and wounded three, including a critically injured 13-year-old, survivors and family members told Human Rights Watch. Al-Hajj’s son Yazid, 24, said that he had lived in the home but was out walking when the attack occurred: “As I was walking back home, the explosion happened. I was just a few hundred meters away. 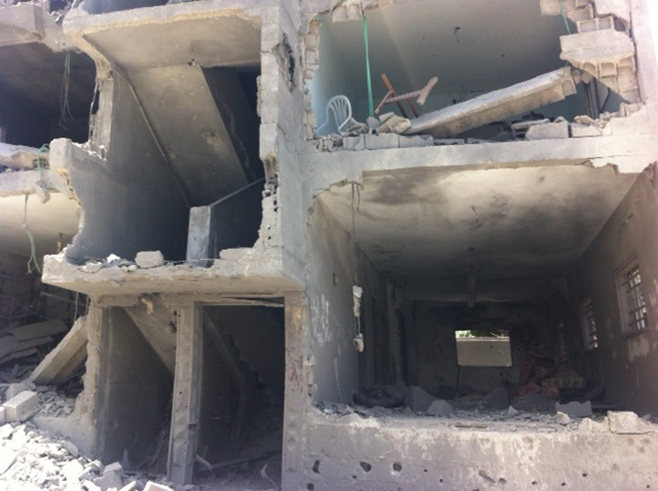 The house was still crumbling when I made it back.” Yazid said he had received an automated phone call from Israeli security forces earlier that same day. “It was one of the generic, robot messages, that just said, ‘Stay away from Qassam,’ so I ignored it,” he said. Yazid al-Hajj said he had been employed by the Hamas government – which recently dissolved with the formation of a Palestinian “unity” government – as a civilian security guard in Rafah, at the smuggling tunnels underneath the Egyptian border, but that he is not part of Hamas’s military wing and has not participated in any military activities. Armed groups have used tunnels to smuggle weapons into Gaza, but Yazid’s account is consistent with the fact that the former Hamas government, which created a “tunnels authority” in control of security and taxation at the smuggling tunnels, employed civilian guards at other tunnels used to smuggle consumer goods. Israel has not identified who, if any of the victims, was a target of the strike. The Palestinian Center for Human Rights (PCHR) is shocked by Israel’s Election by UN General Assembly as Vice-Chair of UN Special Committee on Decolonization. The Palestinian Center for Human Rights (PCHR) is shocked by Israel’s election as Vice-Chairperson of the Special Political and Decolonization/4th Committee in the UN General Assembly. 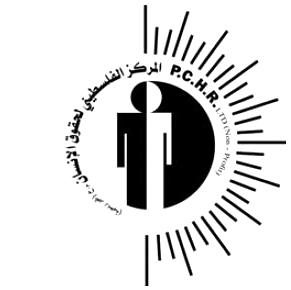 PCHR emphasizes that this step constitutes a shock to the human conscience and justice everywhere, and denial and disregard for the suffering of millions of Palestinians for more than 66 years, as half of them are under Israeli occupation subjected to flagrant human rights violations and collective punishment measures, while the remaining half have become refugees displaced by the Israeli occupation under a systematic policy that has targeted their very existence since 1948. Israel was nominated for the position of Vice-Chairperson of the Special Political and Decolonization/4th Committee for its 69th session by Western European and Others Group, which includes 28 States (Western European States, United States, Canada, Australia, Turkey, Israel and New Zealand). Israel was the only candidate by the Group, which is one of the five geographical groups in the General Assembly and has the right of candidacy in this session. So, Israel’s election was supposed to be uncontested, but the Arab Group made efforts to stop the uncontested election by insisting on article 103 of the General Assembly Rules of Procedures, which provides that “elections shall be held by secret ballot … in an election where only one candidate is standing,” a position that was strongly objected by the United States, Canada and the United Kingdom. Israel was regrettably elected with 74 votes with and 36 votes against, while 68 Members abstained from voting and 15 votes were void, in the election that was held in the General Assembly on 18 June 2014. Thus, Israel has become one of the three Vice-Chairpersons of the Special Political and Decolonization/4th Committee in its 69 session whose proceedings will commence in three months. This Committee is one of the six main Committees of the UN General Assembly, and it deals with a variety of subjects which include those related to decolonization, Palestinian refugees and human rights, peacekeeping, mine action, outer space, public information, atomic radiation and University for Peace. This Committee has constantly criticized Israel for its violations and arbitrary measures against Palestinians, while Israel has refused to cooperate with it in its follow-ups and investigations. Although the position of Vice-Chairperson of the Committee is not so important in regards to the Committee’s work, there are concerns that Israel may make use of its new position to confirm its view that Palestinian refugees include only those who were displaced in 1948, but not their descendants, which is contrary to the Committee’s position that defines Palestinian refugees as those who were displaced in 1948 and 1967 and their descendants. Israel’s success in this regard would take millions of Palestinian refugees out of the Committee’s scope of attention. Therefore, Israel’s presence in this Committee may pose risks to the cause of Palestinian refugees, which is the central issue in the Committee’s mandate. 8. Persistently violating the international humanitarian law as the majority of its leaders are wanted because of committing war crimes. Electing Israel for a position in a committee, which is essentially mandated to defend the rights of Palestinian refugees, ending the Israeli occupation in Palestine and enabling Palestinians to settle their situation and ensure solving the problems of refugees, is an appointment of the offender in a body mandated to address the victim’s complaint. • Electing Israel with 74 votes in the UN General Assembly constitutes a failure of the Palestinian diplomacy in the United Nations, and failing to focus on this dangerous event in the media is not justified, so those who are responsible for such failures in the Palestinian Authority and the Palestine Liberation Organization (PLO) must be held accountable. • Passing by this development without a serious stand by the PLO, Palestine’s friends and concerned international, human right organizations and all free people around the world will cause the recurrence of similar incidents, so PCHR calls on everyone to persistently act to ensure the non-recurrence of such scandal. The Ahrar Center for Detainee’s Studies and Human Rights stated in its report on Israeli violations in the first half of 2014, that Israeli soldiers have killed 35 Palestinians, in the occupied Palestinian territories. 1. Mohammad Adnan Abu Khater, 18, killed by Israeli bullets in Gaza. 2. Mohammad al-‘Ejla, 32, assassinated by an Israeli missile in Gaza. 3. Ahmad Za’anin, 21, assassinated by an Israeli missile in Gaza. 4. Mohammad Za’anin, 23, assassinated by an Israeli missile in Gaza. 5. Bilal Oweida, 20, killed by Israeli fire in Gaza. 6. Mohammad Mubarak, 20, killed by Israeli fire in Ramallah. 1. Mo’taz Washha, 25, killed by Israeli fire in Ramallah. 2. Ibrahim Mansour, 26, killed by Israeli bullets in Gaza. 1. Amna Qdeih, 57, killed by Israeli fire in Khuza’a, near Khan Younis in southern Gaza. 2. Mos’ab az-Za’anin, 21, assassinated by an Israeli missile in Beit Hanoun, in northern Gaza. 3. Sharif Nasser, 31, assassinated by an Israeli missile in Beit Hanoun, in northern Gaza. 4. Raed Z’etar, 37, lawyer; killed by an Israeli soldiers at the al-Karama Crossing between Jordan and the West Bank. 5. Saje Darwish, 18, killed by army fire near Ramallah. 6. Ismael Abu Jouda, 23, assassinated by an Israeli missile in southern Gaza. 7. Shaher Abu Shanab, 24, assassinated by an Israeli missile in southern Gaza. 8. Abdu-Shafy Moammar, 33, assassinated by an Israeli missile in southern Gaza. 9. Yousef Shawamra, killed by Israeli bullets in Hebron. 10. Hamza Abu al-Haija, 21, assassinated by army fire in Jenin. 11. Mahmoud Abu Zeina, 21, assassinated by army fire in Jenin. 12. Yazan Jabbareen, 23, assassinated by army fire in Jenin. 1. Nadim Nuwwara, 17, killed by army fire near Ramallah. 2. Mohammad Abu Thaher, 20, killed by army fire near Ramallah. 1. ‘Ala Mohammad Odah, 30, killed by army fire at the Za’tara roadblock, near Nablus. 2. Emad Salem, 52, fisherman killed by Israeli Navy fire in Gaza waters. 3. Mohammad Ahmad al-‘Aawoor, 30, assassinated by an Israeli missile in northern Gaza. 4. Ali Abdul-Latif al-‘Aawoor, 7, killed by the same missile that assassinated his uncle, Mohammad. 5. Arafat Sabbarin, 23, killed by Israeli bullets in the al-Jalazoun refugee camp, Ramallah. 6. Jihad Mohammad Doudin, 13, killed by Israeli fire in Hebron. 7. Sakher Abu Mohsen, 16, killed by Israeli landmine in the Jordan Valley. 8. Ahmad Sa’id Abu Shannon, 30, killed by army fire in Nablus. 9. Mahmoud Ismael Tarifi, 30, killed by army fire in Ramallah. 10. Mohammad Aslan, 24, killed by army fire in Ramallah. 11. 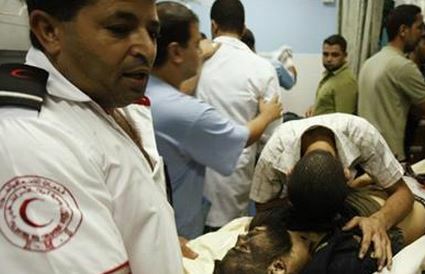 Osama al-Hassoumi, 29, assassinated by an Israeli missile in Gaza. 12. Mohammad al-Faseeh, 24, assassinated by an Israeli missile in Gaza. 13. Mohammad Zayed Obeid, 26, assassinated by an Israeli shell in Gaza. The Ahrar center said that the Israeli assaults, crimes and targeted killing are all direct and serious violations of International Law, the Fourth Geneva Convention, and all related international agreements regarding the protection of people under occupation. It added that, encouraged but outrageous international silence, Israel continues to escalate its crimes against the Palestinians people, their lands and their holy sites. According to detailed data by the Ahrar Center, the army has kidnapped 911 Palestinians including legislators and former political prisoners in June. Ahrar: “Two Palestinian Killed, 370 Kidnapped By The Army In May". 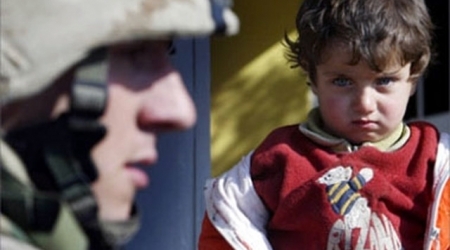 The Euro-Mid Observer for Human Rights' report documented dozens of video recorded testimonies of children arrested during the first months of 2014, pointing out that 75 per cent of the detained children are subjected to physical torture and 25 per cent faced military trials. The report revealed details of the children's suffering, starting with the arbitrary arrests which are in violation of the Convention on the Rights of the Child to which Israel ratified in 1991. The report listed a series of violations practiced by Israeli forces against children during the arrest process itself, where the Israeli forces raid the children's homes after midnight as they sleep using actions that terrorise the child and his family, without clear justification or an actual security need. Euro-Mid researcher Sandra Owen said that at least 1,406 Palestinian children have been killed since 2000, including 263 children under the age of eight and 450 children under the age of 15.